It’s the time of year when PR agencies have the chance to bring on fresh talent as a crop of new college grads hits the job market. I’ve offered advice in previous posts for those determined to build a career in PR or communications, and it holds up pretty well. But it’s time to add, update, and amplify for 2018. This year’s graduates are entering the workforce at a time of low unemployment and high demand for smart, industry-focused PR talent. Unlike those entering the workforce on the heels of the recession, today’s PR hopefuls are likely to be welcomed by top agencies and corporations. They may even face multiple job offers. 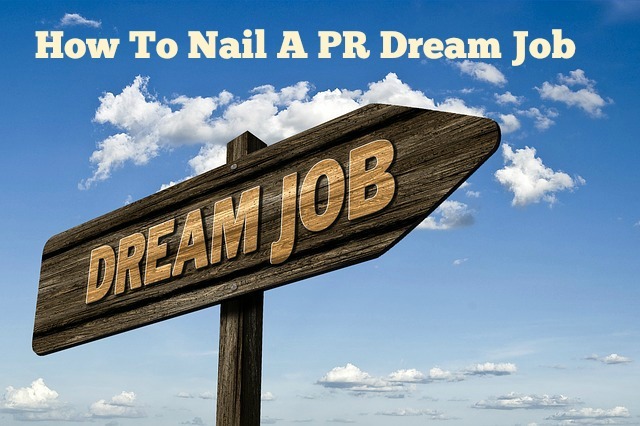 So, how to find the perfect first PR job? Consider a PR agency. There are several ways to break into PR. A job in the corporate communications group of a major company, a position at a nonprofit, or a PR post in a marketing or ad agency are the most common. But at a first job at a PR agency is likely to offer the greatest degree of mobility as well as variety. Most significantly, you’ll learn what you love, what you don’t, and how public relations works from A to Z. That’s a great foundation for anything that comes later. Research specialist sectors. Public relations has become very specialized, so in addition to core skills like journalistic writing or visual content production, it pays to learn about the various segments you may target in a job search or career plan. A career focused on tech startups and one in healthcare PR will have some commonalities, but the clients and day-to-day work can be very different. Most importantly, the sector trends and business challenges can help guide your early career steps and inform where you choose to dedicate those early years. Talk to everyone. Networking isn’t only about getting interviews. Curiosity is an underrated quality among PRs and business people in general. It’s impressive to respective employers, and the information you get in background sessions can inform better decisions. Those early “informational interviews” can also be the beginning of an informal professional network. The more you know about the business of PR or the specific company or sector you’re targeting, the greater the chance of a work situation suited to your goals and talents. Create content. PR is all about differentiation, so a blog or personal website is a good way to stand out. Study bloggers in communications, marketing and the vertical sectors you’re interested in. Consider a short digital video about what you’re most passionate about. 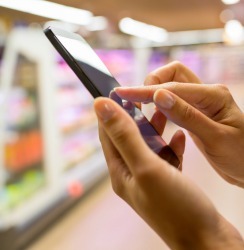 Join online communities so you’re current on industry issues. Develop opinions on the topics that concern communicators, like measuring outcomes or reputation management in the digital age. Even a punchy, well-written email or a colorful resume can attract attention to get you to the next step with a top employer. Play the part. It’s a good idea to go after your ideal job with the same skills and enthusiasm you would use in the workplace – pitching a story, or securing a new client. You’ll want to research your high-priority targets thoroughly, approach them with a creative pitch, and use persistence and persuasion in your follow-up. If you’re not comfortable treating your first job like a selling situation, then agency PR may not be right for you. Tell them something they don’t know. Anyone who’s recruiting will tell you there’s a certain sameness to initial interviews with graduates hoping to break into PR or communications. They usually play it safe, and that’s okay. But bear in mind what a new graduate can offer. Senior professionals know how fast our industry is changing, and they want to keep up. Be mindful of your status as a digital native and offer a point of view or opinion that your employer may not be thinking about. Whether an insight about your generation, the reputation of PR as an industry, or the new study you read about digital privacy, be informed and an informer. It will help you stand out and show your value to your employer of choice.